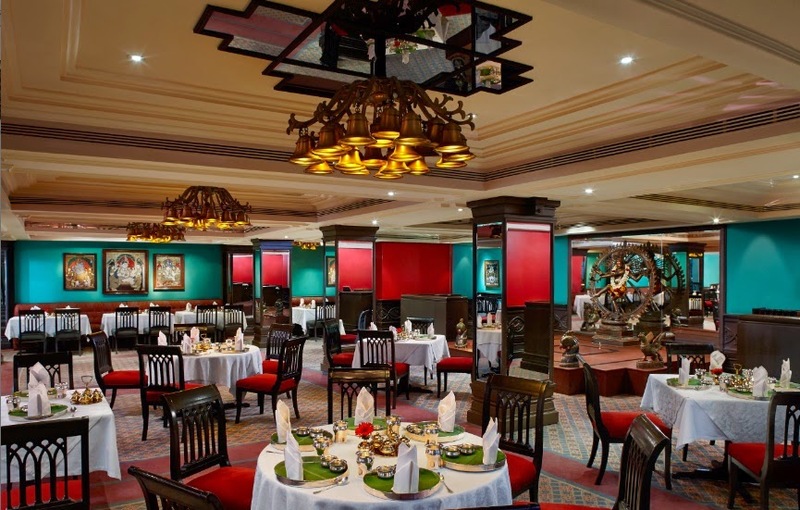 Dakshin is a restaurant at ITC Sheraton Park hotel & tower, Chennai, known for its authentic South Indian food. I did have a lunch here during this Feb and and one of the clear instruction was to 'keep my stomach empty enough' because there'll be so much to explore. 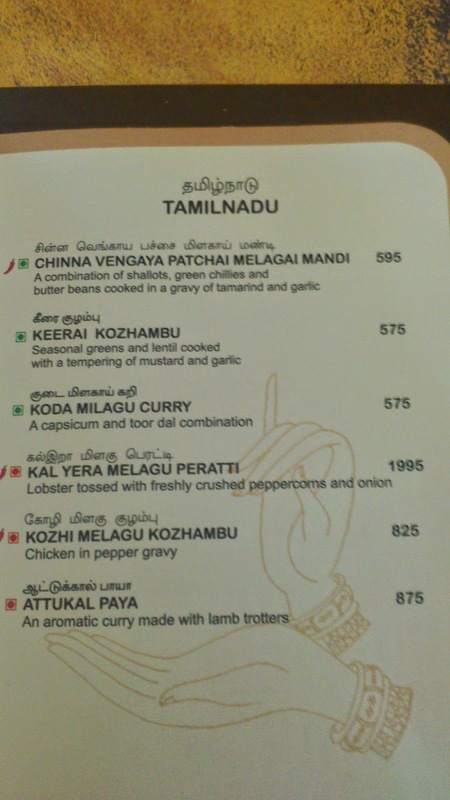 Daskshin is probably the best place in Chennai to try out select cousins from each South Indian states. 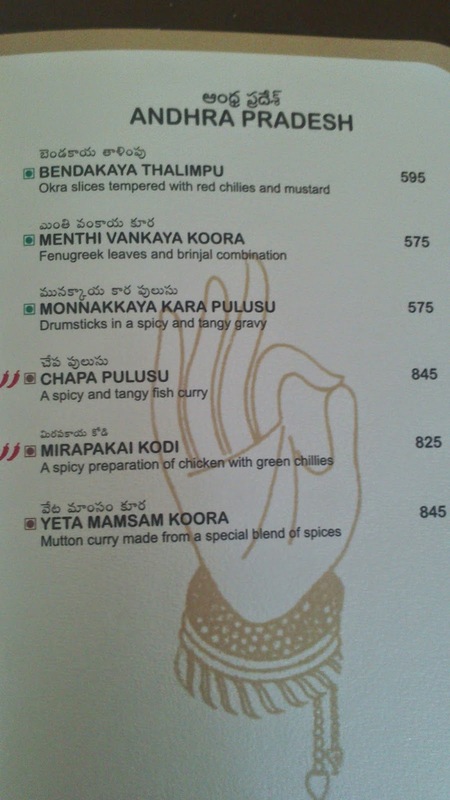 The entrance and and ambiance of the restaurant is carefully design to reflect South Indian traditions and culture. Doors to Dakshin reflect doors of majority of South Indian temples. The overhead lamps (chandeliers) are designed to look like a bunch of temple bells. As we took our seats, the silver thalis and cups (Katoris) gave a feel rich feeling (Wealthy families in South India do use silver based utensils for food). Plus a brass pickle holder perfectly complements the Orange+White shade of the restaurant, We met Chef Harish, who supervises the menu and food preparations at Dakshin. If you thought Chefs spend most of their time in the kitchen, then you're mistaken. Mr Harish and his team spends most of their time touring South India, visiting different cities, staying with the families, observing and learning about their food and then eventually introducing them in Dakshin. Branches of Dakshin exists in few other ITC hotels apart from Chennai as well and the Chefs keep touring them to stay updated or to train the staff. 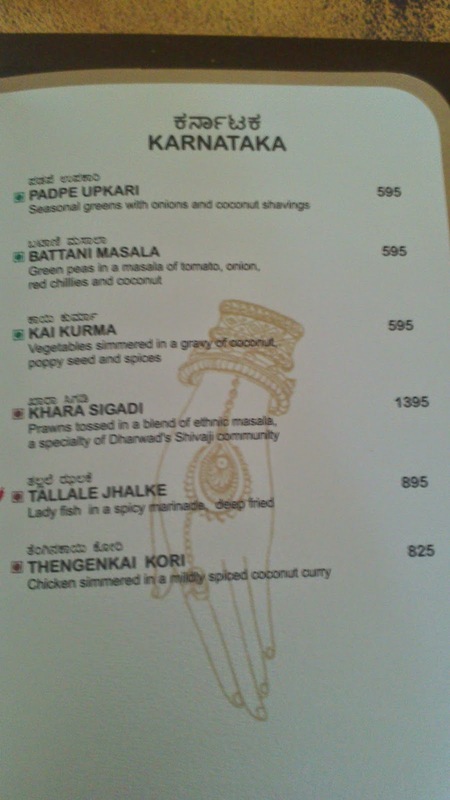 If your idea of South Indian food is limited to Idly, Chutney and Sambar, do check out Dakshin without fail. I began my lunch with not one but 2 glasses of coconut water blended with honey. Subsequently tried over a dozen items in small potions- banana dosa, coconut milk rice, tomato pappu from AP, Bisibele bath from Karnataka, a set of Chettinad varities, Gundu Mullangi Kootu from Pondy and so on. Each of these are served with love and care. Staff can explain in detail about their significance, how it is made etc. Although they need to stop one step short of revealing full recipe for obvious reasons. After heavy meals we really had no space left for sweets and deserts. But there is a saying- however crowded the street might look like, when King's elephant walks in, space will be made for the same. Under same logic, we did make some space for assorted ice creams and elaneer payasam (tender coconut payasam). We were served different flavors and were asked to guess the flavor. I could successfully identify jack fruit and mango in my ice cream, chickoo as the 3rd one. A few sample ala carte charges below for your quick reference. For over 24 days, from 3rd till 27th April, different celebrations are planned. 8 different festivals- Mudaliyar Pandigai, Kodava Koota (Coorg Special), Franco Pondicherian (Pondy Special), Syrian Christian, Rajula Bhojanam (King's feast), Tanjavur Cuisine, Moplan Magic and Kanara Jevan. I tried to get details of the menu, but the hotel GM Mr. Krishnan told me that due to last minute changes, they are still not finalized yet. We should be knowing them in today's news ads. Related: MICE facilities at Sheraton Park hotel * Review of new towers at Sheraton Park * What is unique in Sheraton Park 5 star stay?